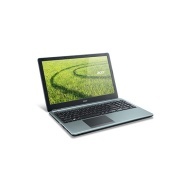 alaTest has collected and analyzed 39 reviews of Aspire E1-572 NX.MEZEK.007. The average rating for this product is 4.1/5, compared to an average rating of 4.1/5 for other products in the same category for all reviews. Reviewers are impressed by the size and price. The screen and portability are also appreciated, whereas many are negative about the touchpad and sound. Opinions are divided on the usability. We analyzed user and expert ratings, product age and more factors. Compared to other products in the same category the Aspire E1-572 NX.MEZEK.007 is awarded an overall alaScore™ of 82/100 = Very good quality. Size,weight & value for money. Image quality great. Well put together. Fast. Windows8.1 very klunky but am getting used to it now. light, easy to use larger keys ideal for some one like me with arthritas and the touch screen just wonderful for my hands..
fast ! wish i scraped my old laptop years ago.